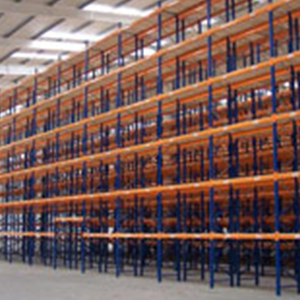 Selective pallet racking is the most common racking system and can be found in a multitude of business world wide. 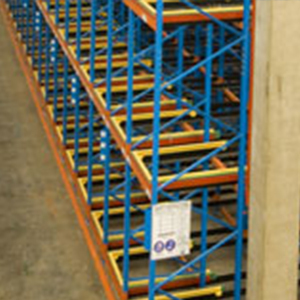 Selective pallet racking typically holds 2 to 3 pallets between two uprights on every level. Learn More. 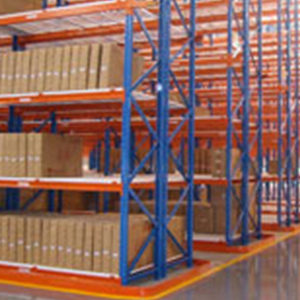 Narrow aisle systems incorporate selective rack but in a much tighter layout out. 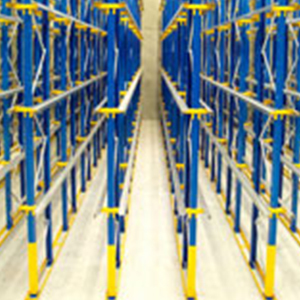 They have the performance characteristics of multi-position racking and can reach heights greater than 30 feet and are freestanding. Learn More. With drive-in racking, pallets are stored in the system on continuous heavy duty rails allowing pallets to be stored as deep as you wish. Loading and unloading of the system must take place from the top to the bottom (or other way around). Learn More. With pushback rack it is easy to store more product in less space. Pushback rack actually gets its name because the pallets are placed on a carriage that then gets pushed up a sloping channel. Learn More.